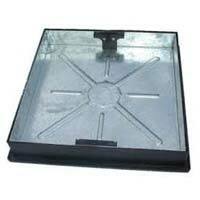 We are reckoned among the renowned Manufacturers and Exporters of BS 497/76 Manhole Cover & Frames. The covers and frame are available in different specifications in order to meet the diverse requirements of the buyers. Strict quality-tests based on different parameters ensure that only defect-free products reach the buyers. Buyers can obtain these at affordable rates from us. Our company is involved in offering BS 497/76 Solid Top Single Seal Manhole Cover & Frames. The covers and frames are manufactured in compliance with international quality standards. One can obtain these at nominal rates from us. We are engaged in offering BS 497/76 Solid Top Double Seal Manhole Cover & Frames. Excellent quality, optimum durability and high corrosion resistance are some of the attributes of our Manhole Cover & Frames. 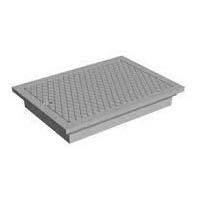 Our company is second to none in offering BS 497/76 Recessed Manhole Cover & Frames. We manufacture these using excellent quality materials and the latest technology. One can obtain these at affordable rates from us. 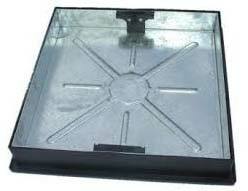 Get in touch with us for excellent quality BS 497/76 Rectangular Manhole Cover & Frames. Our experts carry out numerous quality-tests on these before the final dispatch. Buyers can obtain these at competitive rates from us. 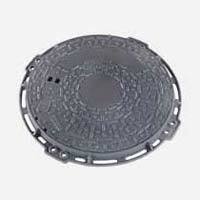 The company offers BS 497/76 Circular Manhole Cover & Frames. These are available in different specifications in order to satiate the diverse requirements of the buyers. One can obtain these at affordable rates from us.